Boker Cop Tool - 6 1/4" overall. 1 3/4" 440C stainless blade with seat belt cutter. Full tang. Textured black G-10 onlay handles. Braided lanyard. 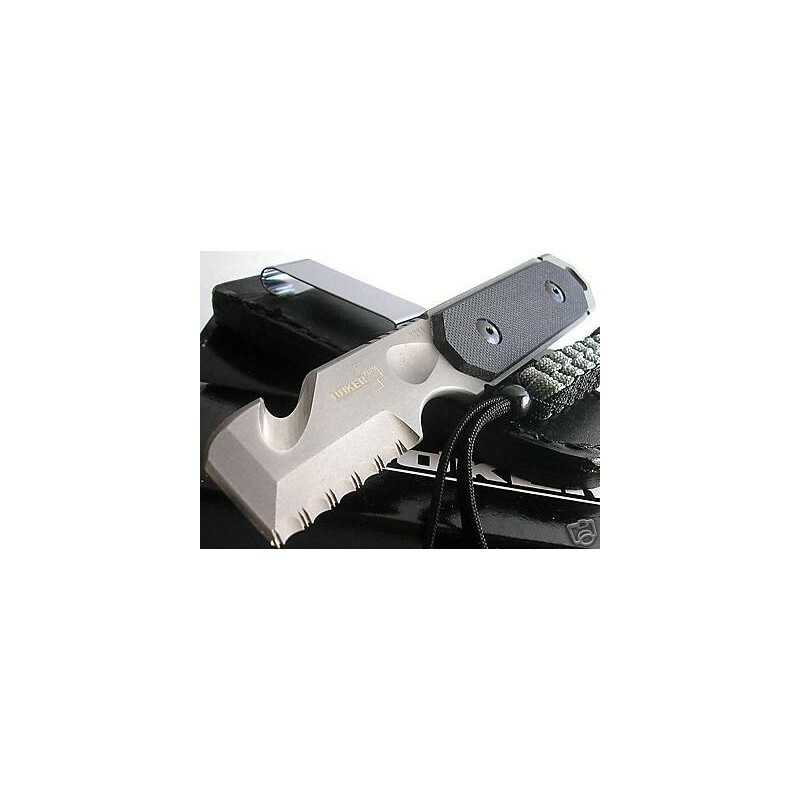 Black leather sheath with stainless clip. 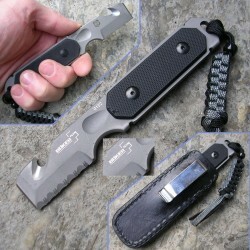 Tool can be used as a lever, chisel, belt cutter, scraping tool, or as a multi-functional knife. Small, compact and extremely effective.